A triumph in engineering, the AirMedic+ is our most efficient unit for particles. It tests noticeably better than the standards set for regular HEPA filters, making it more than 99.97% effective at removing particles 0.3 microns in size. An 18 lb. 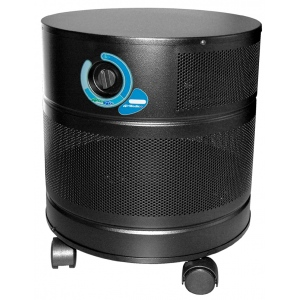 carbon filter for airborne chemicals, gases and odors rounds out this remarkable filtration system. Convenient variable speed motor. DOP tested.